VCRD comment: The idea for the creation of a children's museum in Rutland, was sparked during VCRD's Rutland Creative Community project. 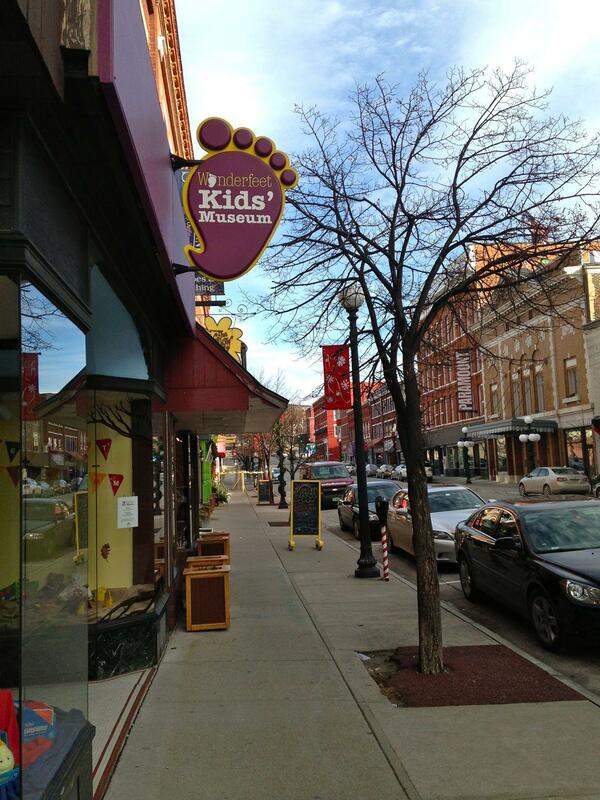 The Wonderfeet Children’s Museum in Rutland will move into a new, larger space next month. Organizers believe new and better exhibits and expanded hours will make the museum a true destination for the city. The idea for a children’s museum in Rutland began percolating four years ago when residents at a Creative Economy meeting decided it was something they wanted in their city. Beginning the very next year, volunteers opened Wonderfeet Children’s Museum in an empty storefront Friday evenings during the city’s summer block party series. Wonderfeet Children's Museum will move just down the street to a new, much larger space in January. In 2013, it moved into a larger space with expanded hours. This fall, museum organizers took their biggest leap yet, hiring Myra Peffer as a full-time director and renovating a much larger space they hope to open in January. Walking in the new space, Peffer says the entrance will look like a train station. A child-sized diner is being constructed along one wall with an arts and crafts area for toddlers in another space. They’ll have a farmers market kids can play in as well as a miniature town hall that kids can help renovate with energy efficient, green technology. Peffer says older kids will love a planned Lego area with robotics equipment and a dark cave where children can use flashlights to light up iridescent walls. She says they’re still designing the front windows, but eventually a Rube Goldberg-like ball machine will fill one of them. “You’re going to walk past that window and think, 'Ooooh, I want to go in there,'” she says, smiling. Wonderfeet has raised three quarters of its $100,000 fundraising goal and Myra Peffer is optimistic they’ll raise the rest, since she says the community has been behind the project from the start.